One of the main issues that our tour clients struggle with is creating, managing, and translating quality multilingual content. The following are our tour content & translation recommendations. Content can take many forms, text, photos, graphics (such as maps and illustrations), PDF downloads, embedded videos, etc., but this post will focus on text content. It’s essential to write quality text copy on your tour website in order to get good SEO, encourage engagement on social media, referrals from other websites, and to keep people on-site long enough to convert. Let’s look at each of those issues in a bit more detail. Focus keywords. It’s important to choose a focus keyword and use it in the title, first paragraph of text, and throughout the page. For example, an article about the Akihabara district of Tokyo might use a focus keyword like “Akihabara Shopping”. Be careful to use a natural balance of your focus keywords, not too little or too many. If you use a keyword too many times on one page Google will see it as “keyword stuffing”, a method unscrupulous marketers use to try to improve search rankings, and they will penalize your site by ranking it lower. Google provides tools to find good focus keywords, which I’ll talk about more in future posts. TourismBuilder also has focus keyword analysis functionality built in. Length of content. Each page on your site needs to have at least 300 words of content. For an article, itinerary, or detailed attraction listing, a good target is 2,000 words. That’s long enough to tell a good story within a reasonable amount of time and keep visitors interested. Longer than 2,000 words and visitors will start to drop off and not read all the way through. An important point about social media that many tour operators don’t fully realize is that social media should be used as a channel for driving traffic to your website, the same way referrals from other sites and search engines drive traffic. Although some social media content may be appropriate to post on social media only, such as a promotion or campaign, most will be the same as the content on your website, so it’s most efficient to manage it together. Instead of writing content on your website then writing essentially the same content separately to post on social media channels, it’s much more efficient to write the content once on your website then use social media share plugins to push that content to social media with a link back to your site (TourismBuilder has this functionality built in). This allows you to not only manage the content from a single dashboard (your website), it also ensures the content is shared with a link back to your website, thereby pulling visitors from social media back to your site. Always post content on social media with a link back to your site! Facebook has enough traffic already, providing a link to your site makes sure they will share some of that traffic with you too! Since the goal of posting content on social media is to bring visitors to your website and to get them to convert into visitors to your actual physical destination, it’s important to post content that’s interesting, informative, and engaging. Content shared from your website to social media channels must be high quality in order to get people to like, share and otherwise engage with it, known as social media engagement. Just as search engines and social media sites send you traffic, you can also get traffic from other sites which link to yours. Travel blogs, review sites, and local businesses are all examples of sites which could link to yours. It’s a good idea to ask for these links, as they both bring in traffic and improve your search engine ranking. However, if your content is not high-quality other sites will have little motivation to link to yours. Even worse, if your content is not of sufficiently high-quality travel blogs and review sites may link to your site with a negative comment. As mentioned above, the primary goal of your website is to turn web traffic into actual visitors to your physical destination. If your website doesn’t achieve this goal than it has failed its mission! A tour website which meets its conversion goals is well structured so that visitors can find the information they’re looking for, has high quality information that keeps them engaged so they don’t leave and continue their travel planning on another site, and has clear links and contact forms so that they can connect with the travel vendors they need and have their questions answered. They should be able to visit your site, be inspired to actually visit the destination, and find all the information they need to plan their trip. These links and forms are known as conversion points and tracking how site visitors click these points is part of tracking your site’s KPIs (key performance indicators). I’ll discuss how to set and track KPIs more in a future post, but for now, just remember to always write content with conversion goals in mind. Finally, perhaps the most important aspect of content management for tour operators, especially those looking to attract international visitors, is translation management. It doesn’t matter how much effort you put into crafting quality content if its translation into each target language is not also high quality. Here I must stress again to never, ever use machine translation! It is impossible for machine translation to achieve the level of quality necessary. 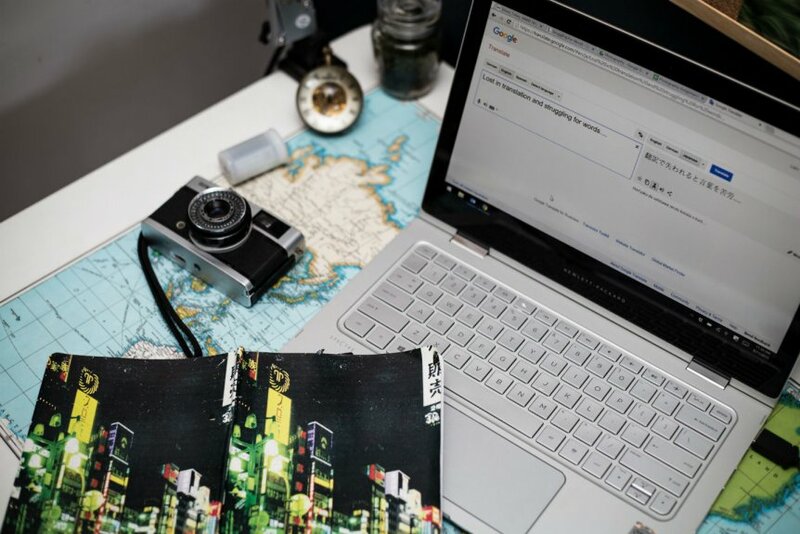 Even if machine translation could accurately translate the meaning of your content (which it, unfortunately, cannot do yet), it’s impossible to tell the story of your tours through a direct translation. What is actually required is not direct translation of your content, but localization into each language complete with all the cultural nuances and verbal imagery necessary to native speakers of that language, something only an experienced human translator/copywriter can achieve. The problem most tour operators face is that they don’t have native translators on staff for each of the languages their visitors speak. The solution which we’ve found most effective, and which we’ve made a core part of TourimBuilder, is to use online crowdsourced translation services. Crowdsourced translation services utilize the power of the internet to work with translators based around the world through an online dashboard. Because these translators can work from home with very little overhead their services are cheaper than traditional translation services. Furthermore, online dashboards, APIs and other tools allow for efficient translation management further saving time and money. TourismBuilder has a built-in dashboard for managing translations, which connects to various online translation services via their API. You can also find assistance with copywriting and content creation via freelance crowdsourcing services like Upwork.com. Because content is so important to your tour website digital marketing strategy, we recommend you put a strong strategy in place, procure the necessary budget, and always use native translators and copywriters for multilingual content! In future, I’ll write more posts about managing your other types of content such as photos and videos. Don’t hesitate to contact us if you have any questions about these and other strategies or would like to hold an inbound tourism marketing seminar at your destination.